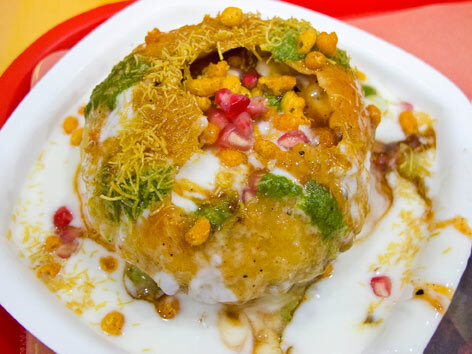 The bustling streets of Delhi are thought to be the home of some of the most flavoursome traditional street food you could hope to find in India. If the idea of sizzling stalls, enticing aromas and puffs of authentic spice colouring the air sounds tempting, the historical city of Delhi, where the streets are paved with food, might just be the destination for you. The cuisine of Delhi has long been linked with the mighty Mughals, the conquerors who ruled the sub-continent during the 16th century. The Mughal rulers were renowned for their preference for rich, sumptuous dishes and the influence of their creative kitchens can still be seen in Delhi to this day. One of the most popular dishes in the north of India, chole bhature is a wholesome, hearty recipe and a staple dish amongst the street stalls of Delhi. A popular breakfast meal, chole bhature consists of a spicy chickpea curry created from white chickpeas and served with a puffed, crispy bread known as ‘bhatura’. The vendors that specialise in chole bhature vary their recipes according to taste. Some like it hot and spicy whilst others prefer a tangy taste. 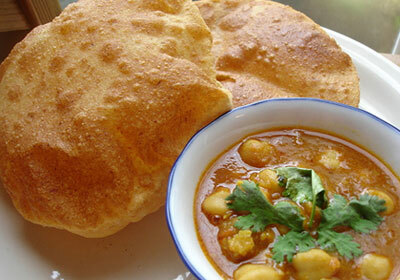 Chole bhature is traditionally served along with a crunchy salad, flavoured with chopped chillies and strips of onion. 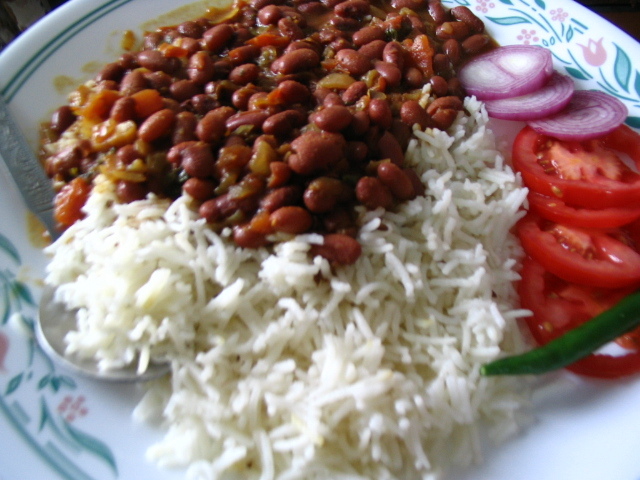 Rajma chawal is another hearty vegetarian option and is unavoidable when exploring the street stalls of Delhi. The ‘rajma’ refers to the red kidney beans that make up the bulk of the dish. Rajma is mixed with onions, ginger, tomatoes and a variety of spices to create a succulent curry, infused with all the exotic flavours of the east. This flatbread hails from Rajasthan and resembles a hefty roti, smothered with ghee. These filling breads are a popular ‘grab and go’ option on the streets of Delhi, particularly when served with a selection of delicious chutneys. One of the best accompaniments to street food in Delhi, is the notorious lashun ki chutney, a popular chutney consisting of plump cloves of aromatic garlic and fiery red chillies. Lashun ki chutney accompanies many street food specialities in Delhi from rice-based dishes to simple breads. Raj kachoris aretasty pockets of dough, stuffed with a mouth-watering filling. From spiced mashed potatoes to green lentils, these flavoursome parcels conceal a range of delights, seasoned with spices and accompanied with creamy yoghurt and sweet chutney. Raj kachoris make a popular choice for those looking for a satisfying street food snack. Indian street food holds an appeal for anyone who is interested in sampling the authentic flavours of the sub-continent. But if Delhi seems a little too far to travel for a satisfying meal, consider a visit to one of London’s best Indian fine dining restaurants where you can experience recipes based on traditional Indian dishes, tweaked with a little contemporary creativity.